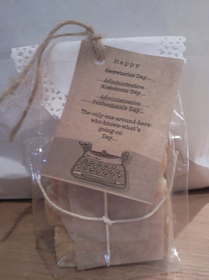 The second of September was Secretary Day or Administrative Professional’s day. We made up small gift parcels with homemade rusks (baked by Madeleine). These were dropped off at local businesses as gifts for their secretaries.